Once you have a good handle on React move on to learning a more robust state management solution like MobX. If you are an experienced developer with Functional Programming knowledge look at Redux. If you need help understanding the role of state management beyond React&apos;s setState watch, "Advanced State Management in React (feat. Redux and MobX)". 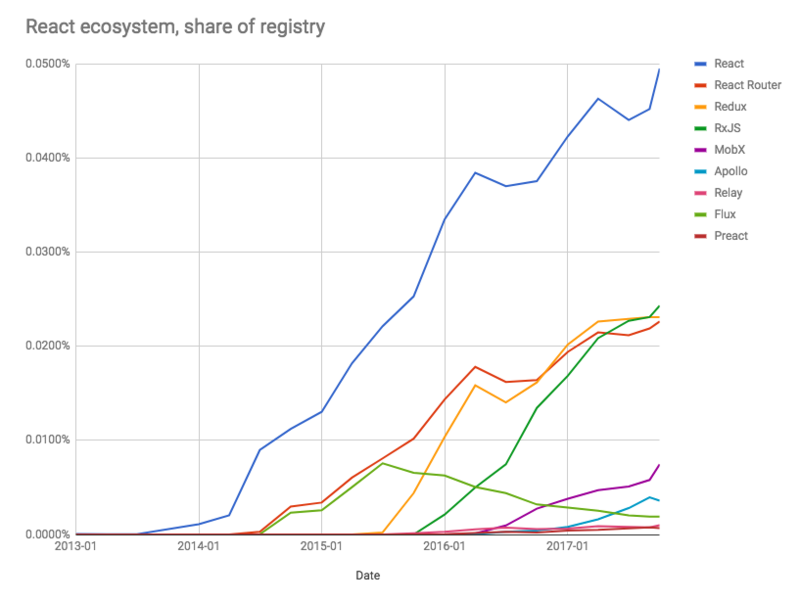 Note below the trends in the React Ecosystem (from npm registry) as you move past React and learn tools that work alongside React.